As the country geared up for Super Bowl 50, the hype was at an all-time high. After all, this marks the 50th year of the game, and rumors swirling about Peyton Manning’s potential retirement made this the game to watch for pro football fans everywhere. 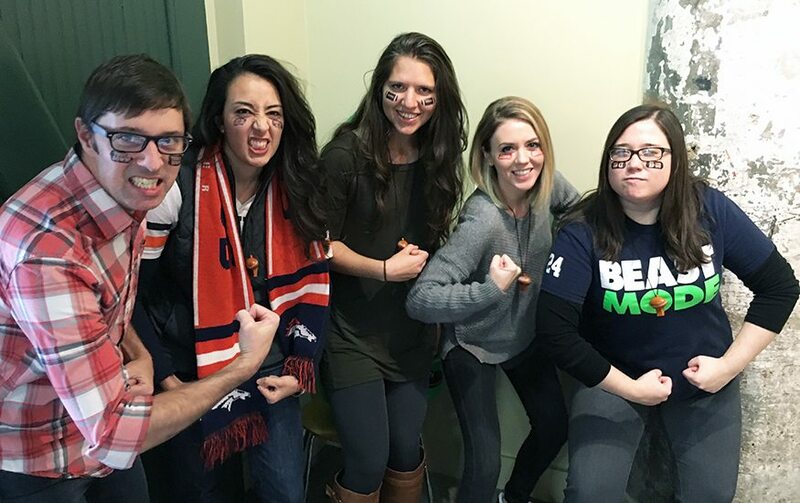 For infernites, the must-see contest last weekend wasn’t Peyton’s possibly-but-not-certainly last game, but rather SouperBowl IV – a competition of guts, glory, and goulash. 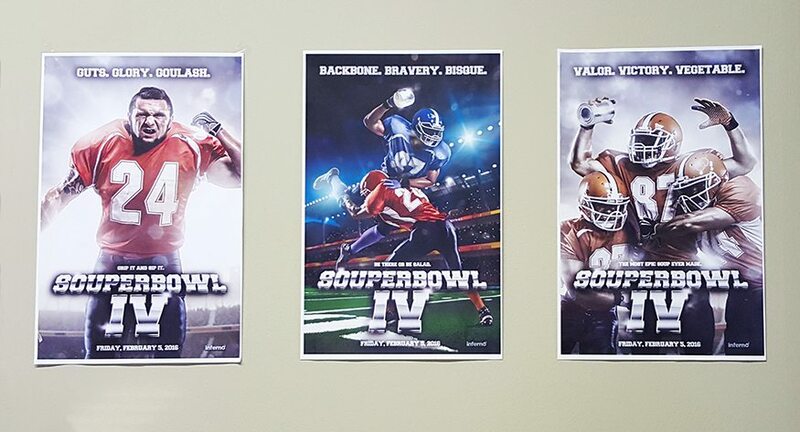 Posters mimicking the #SB50ads – designed in-house by inferno – lined the halls leading up to the big day. 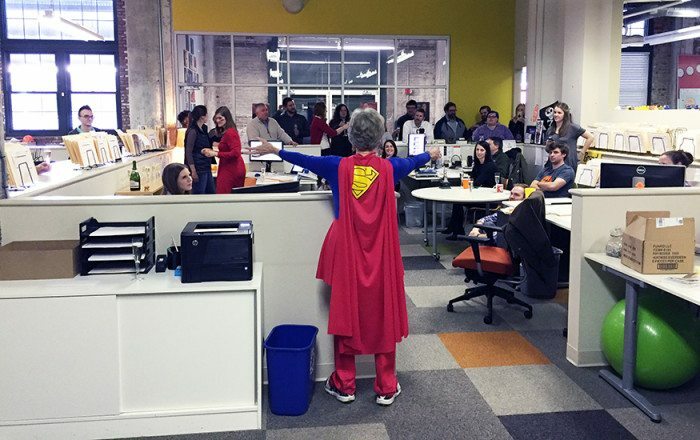 On soup day, tensions were high and competition was fierce. With 16 different soups to sample, entrants had to up the ante to get noticed. Participants turned to garnish, football-themed soup titles, and table decorations to score some votes. In soup – as in football – pageantry only goes so far, and the 5 Shroom soup that took home the trophy won on the merits of its recipe alone. Thanks to all the contestants who entered this year. 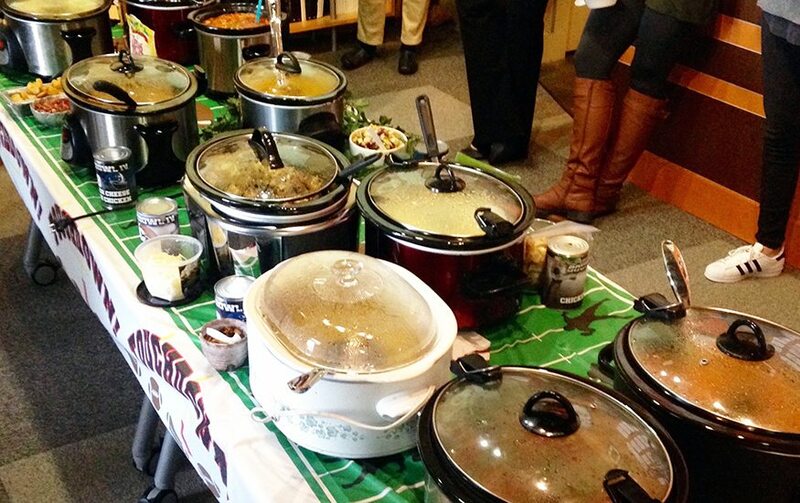 The inferno SouperBowl turned out to be one tasty tradition!